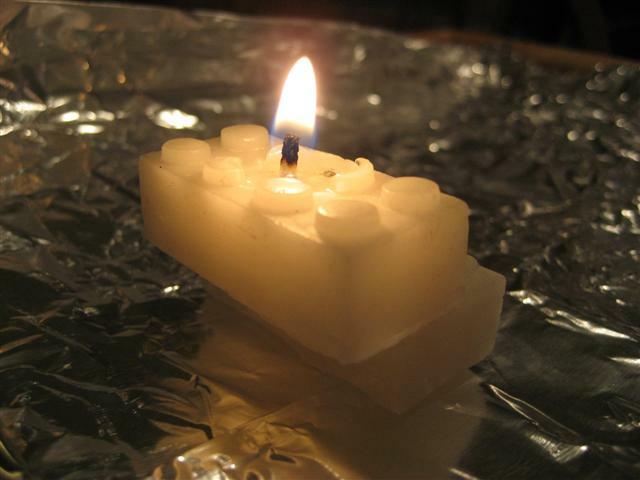 So as I mentioned in a previous post I’m working on creating and marketing a new kind of candle that I like to refer to as a wickBrick. Here are a couple of pics. 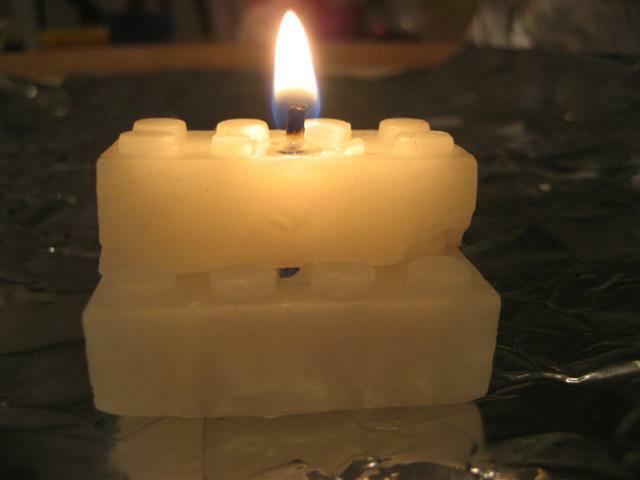 Now I know that it just looks like a normal toy building block, but just think of all the really cool candles that you could create this way!! 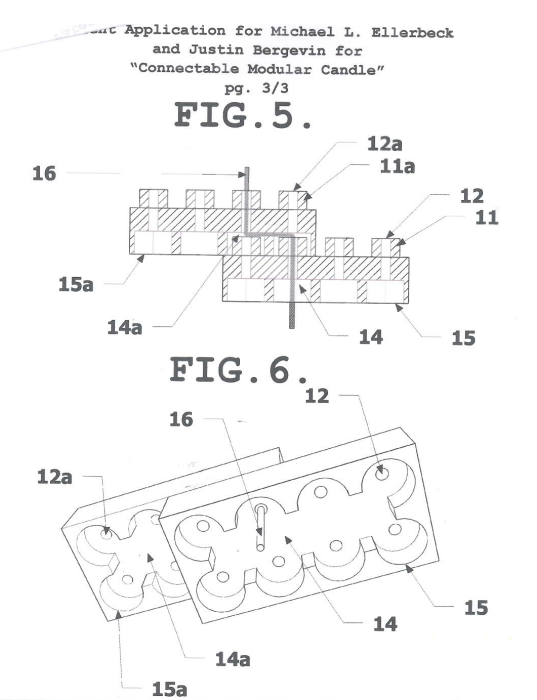 I have also been working on a patent application for the concept of ‘Connectable’ candles, here is a snapshot if you are curious. Don’t make them look too much like legos! I forsee kids wanting to eat these shiny looking building blocks. I think this would be a ‘grown up toy’. You would definitely have to be careful that you didn’t create a large sculpture and then light it and walk away. This is true of anything that deals with fire though. I don’t think wax is all that poisonous though so mainly have to worry about not burning your house down. I envision some sort of display/containment case to go along with them.